Defying Business Logic since 2013 with the OG Dollar Dog Tuesdays! If your pockets are empty & your running low on the dough, do not fret because we’ve got you covered! Every Tuesday, we’re shaking up $12 Espresso Martini’s, $5 Miller tinnies, $6 Mimosa’s & of course- $1 Hotdogs. In true Soda Style you can expect a buttload of Epic tune-age starting off with some musical bingo to spice things up. Later on, we’ll have the usual suspects dishing out some bangerz where you can request you guilty pleasures followed by our SODA DJ’s spinning the party vibes til very late! What’s musical Bingo you ask? Well, it’s like normal bingo, but instead of numbers, we’ll be playing bangerz and YOU’LL BE WINNING PRIZE$! Dropping Beats, not Balls. 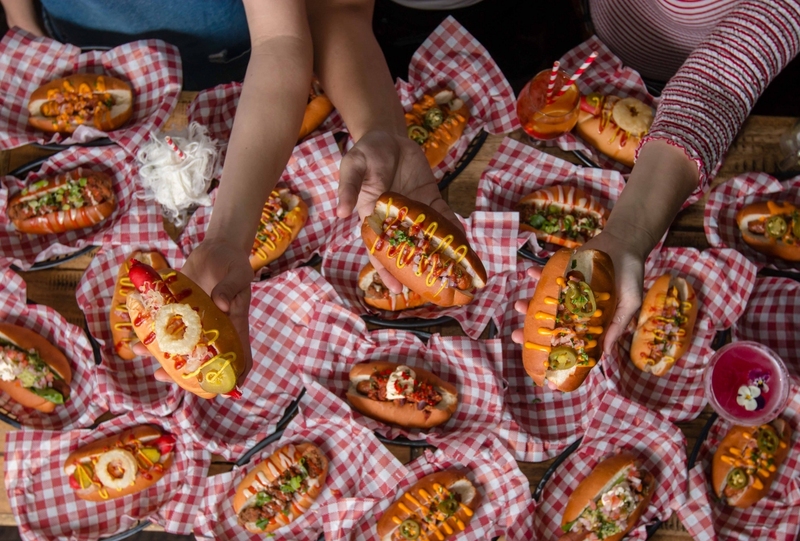 On top of that, for your pleasure & enjoyment, we’ve launched a brand spankin’ new dollar dog menu, where everything is delicious, and everything’s one dollar. This week, if your name is Amber or Joey, dinner & drinks are our shout! Make sure to bring along your ID. 16 Wentworth Ave, Surry Hills.